Reminder: There are still space available in the first kayaking-writing workshop that is taking place on Thursday, July 15th! Call Ridgefield Kayak to register (see below for contact information). to offer creativity workshops on the water. being present as our creativity blooms. Writing and note-taking time will be included. Thursdays we will meet at 6:00 pm for paperwork and discussion; paddle begins at 6:30, returning to the boat house at 8:30. Friday we will meet at 10:30 am, and paddle from 11 – 1. 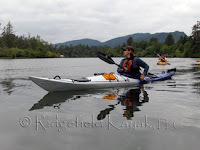 $55 each session, which includes kayak rental, paddle, PFD, and guide. and paying the $35 paddling fee. The balance of $20 will be due at the time of the workshop, payable to Dot Hearn.